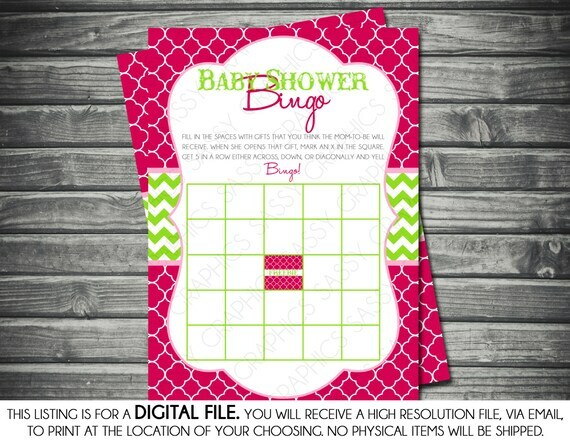 This listing is for a instant download, digital, printable, file of a Girl Baby Shower Bingo Card with Chevron, Pink, Green. Colors cannot be changed! For a custom Wishes for Baby Card, please purchase this link. 1. Add this design to your cart and make payment using Direct Checkout or Paypal. 2. A download link will be sent to you immediately after payment. If you do not receive a download link, please email me. This file is formatted to 5x7.